Performance 2.0 72-inch H x 108-inch W x 18-inch D Garage Cabinet Set in Blue (7-Piece) is rated 5.0 out of 5 by 5. Rated 5 out of 5 by Anonymous from NewAge This shelving unit is top notch! Very well built! And all you have to do is the handles and legs, cabinets came already assembled! Highly recommend! Rated 5 out of 5 by Hammer from Best buy Best purchase I have made in my lifetime. Quality and packaging was excellent. Would highly recommend. What are the individual widths of these cabinets? Hello, Thank you for your inquiry. 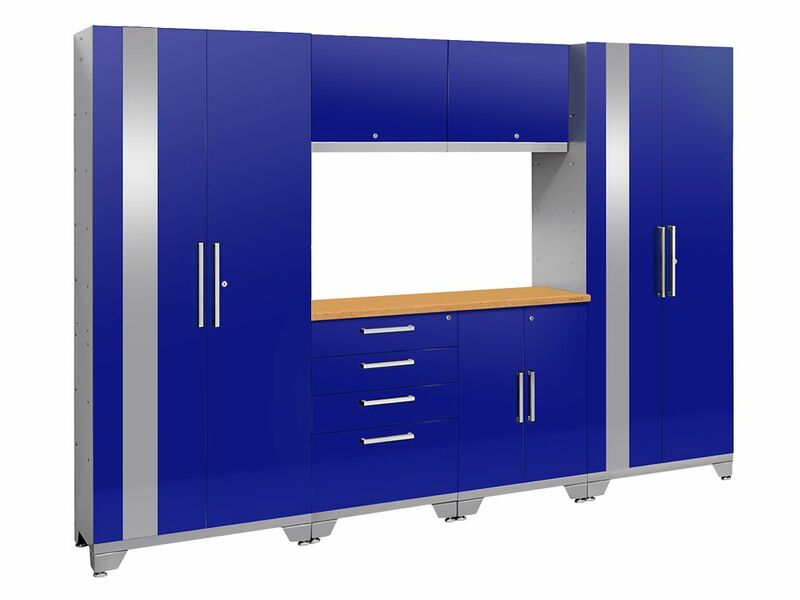 The dimensions for the Performance 2.0 Series are: Multi-use Locker (30&quot;W x 18&quot;D x 72&quot;H), Base cabinet (24&quot;W x 16&quot;D x 30&quot;H), Rolling Tool cabinet (20.75&quot;W x 16&quot;D x 27.9&quot;H) and Wall cabinet (24&quot;W x 12&quot;D x 18&quot;H). Installing the feet and leveling legs will increase the cabinet height by 3.25&quot;H - 5.25&quot;H. If you have any further questions feel free to email us or call us at 1-877-306-8930 (Option 4) and we would be more than happy to assist you.